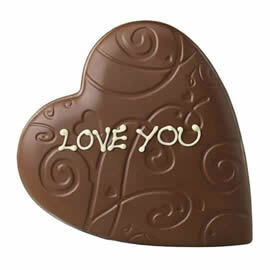 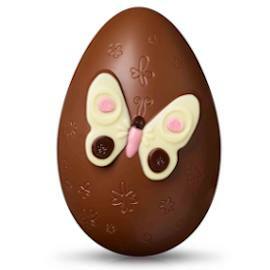 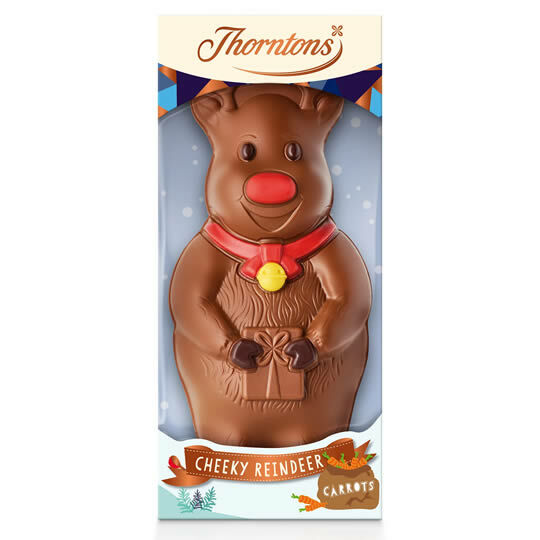 A cute milk chocolate reindeer, the Thorntons Ronnie the Reindeer chocolate gift for Christmas. 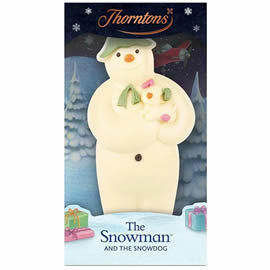 Made from milk chocolate with a white chocolate scarf and hat detailing the Thorntons chocolate reindeer is a novelty chocolate stocking filler for kids and adults alike. 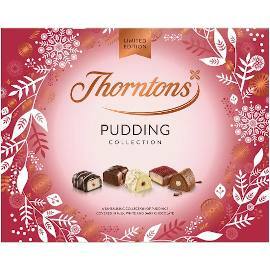 Also from are Thorntons the Thorntons Milk Chocolate Santa, the Thorntons Milk Chocolate Elf and Thorntons The Snowman and The Snowdog Chocolate, in similar boxes. 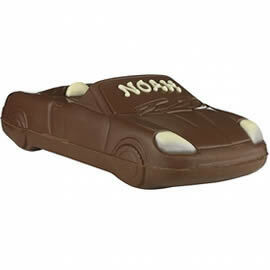 A milk chocolate reindeer for Christmas, from Thorntons Christmas Chocolate range.